It takes a village to create spaces that matter! And you are a big part of our village! And to Our Sponsors and Donors…without your generous support, none of this could be possible! Thank you so much!!! 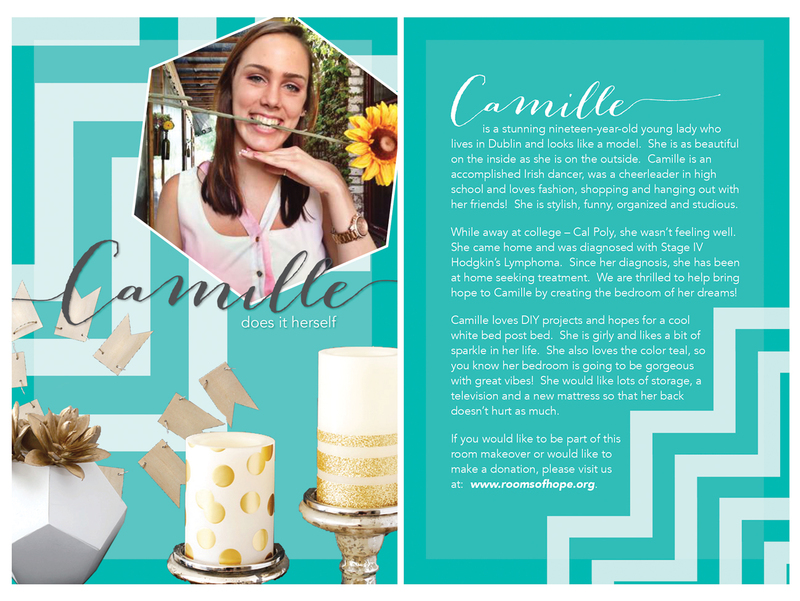 Special thanks to Niki and Susan (Room Designers) for all their hard work and love that went into the designs of the rooms…and to Anne for referring Camille to Rooms of Hope. As well, our Rooms of Hope Board who makes these dream makeovers possible! To each of you…thank you for sharing your talents, treasure and love! Your contribution truly makes a difference! Camille and her family also thank you very much!! !